The 90B table by Artek conveys a relaxed familiarity and is a classic among the tables by Alvar Aalto. Created with a round tabletop and three legs in 1935, it has lost none of its timeless elegance to this date. Whether to eat, work or play, the table convinces its users with its own distinctive character that can be introduced into public or private interiors. The 90B table by Alvar Aalto for Artek is made from Finnish birch and exudes a natural warmth. 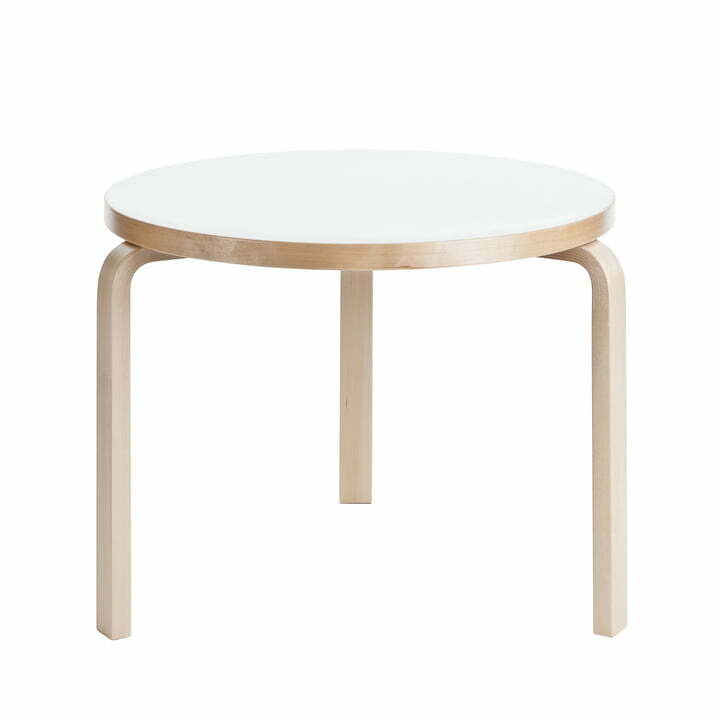 The tabletop with a diameter of 75 cm is made from white laminate.